Rangers defender Joe Worrall has admitted he would be happy to leave Ibrox to return to Nottingham Forest if the Gers choose not to extend his stay in Glasgow at the end of his loan spell. The 6’2″ (source: Transfermarkt) giant arrived at the Light Blues in the summer on a season-long deal from the City Ground and has been a regular under Steven Gerrard, playing 21 games for his temporary club. Admitting that he has found the scrutiny and criticism a shock compared to his time in England, the 22-year-old spoke out about his future and admitted he would be happy to stay or go if it meant playing regular football. He told the Scottish Sun: “You come off the high of the Celtic game when you’re a God. Then you make a mistake against Kilmarnock and you should be booted back to England! “That’s what football’s about, that’s how the fans view it and it spurs you on. I don’t mind taking the flak. It’s all part of football. The scrutiny up here has been a bit of a shock to the system. Not just my mistake at Kilmarnock but the whole media coverage — it’s huge. Everything is scrutinised, it’s a goldfish bowl. 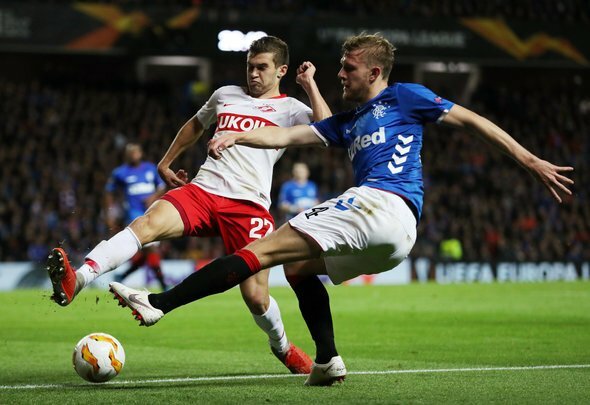 Worrall has not so much divided opinion at Ibrox as he has had most of the fans singing from the same hymn sheet – and it is not great for the centre back. He has been panned time and again by the Bears in the stands and for good reason, for his performances have been lacking the desired quality. He says he feels he is good enough to be playing for parent club Forest and there might well be a number of fans at Rangers who would be happy to see him head back south of the border. Still, he is here until the end of the season and if the 22-year-old can continue to learn and develop then maybe Steven Gerrard will look to keep him on for a little while longer. He has plenty of work to do if he is to become a top quality defender and regular game time will help his cause – but he has got to stop making silly mistakes which cost his side.